Do you love to make whoopie too? I also LOVE to eat Whoopie Pies too! 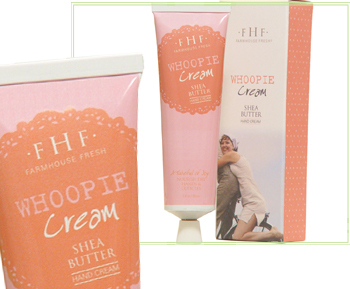 If you are looking for another perfect gift idea in my gift guide countdown… think about Whoopie Cream BY Farm House Freshgoods. NOT your ordinary shea butter infused lotion. Smells amazing and coveted by celebrities! Skin loves this awesome hydrating delight AND lasts longer than candy and flowers.